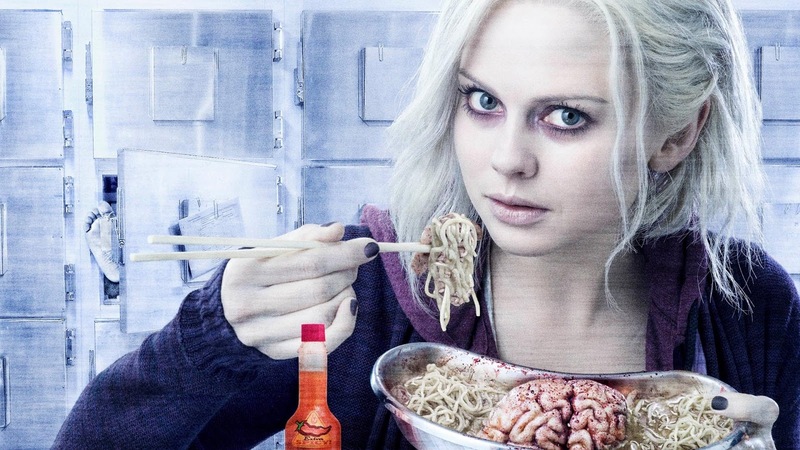 iZombie is back and so is back from the dead Blaine, newly zombied and happy to groan “brains” at Ravi. Because he’s Blaine, and he’s nearly always awesome (though don’t make jokes about Ravi being attracted to him if you’re not going to through in an actual LGBT character please). He snarks. Ravi snarks (he is also an awesome snarker. In fact this whole show is all about the awesome snark). But, on a more serious note, it also means that Blaine may be about to die like the zombie rats who took the cure did… and while no-one cares too much about Blaine dying, having all the city’s zombies lose their source of brains would be a very very very very bad thing. Ok, can I have a little side here – Liv is a doctor. Liv was brilliant in medical school. The amount of surprise she faces because she speaks all sciency is kind of annoying. Liv isn’t uneducated, her knowing these things is not surprising. Unfortunately for Liv, it turns out the murderer was someone else entirely, found by Clive doing actual police work (I appreciate this. I like that even with Liv’s visions, we’re still seeing Clive solve these cases with dedicated, conventional investigating despite Liv’s enthusiasms). We also have some very dramatic changes with Max Rager – and Vaughn another gloriously terrible villain. But we do get a hint of one thing he cares about – Gilda. Despite her endless contempt for him and his often dismissal of her, he’s surprisingly outraged when Gilda shows her black eye after her little confrontation with Liv. However, that care only seems to go so far: Vaughn is still working on his new energy drink which he’s warned will still make people aggressive like the previous drink AND makes people super fast and strong at the same time. He tests it on his pet zombie – and then taunts it. At which point the super strong zombie gets free, eats his scientist and chases Vaughn and Gilda. Vaughn… abandons her while he escapes in the lift. Did Gilda become a zombie? It seems unlikely that she got out of that without taking any injury at all. And to mix it up some more – Clive and Dale have done some more research on Blaine… and found human brains.